MarketingLocalAre you paying enough attention to reviews in your local SEO? The business of reputation management has changed drastically with the advent of the internet. The BrightLocal Local Customer Review Survey 2015 found that 92% of customers will read online reviews to determine whether a local business is a good one, and that 80% of customers trust online reviews as much as a personal recommendation. “Pre-internet, you used to ask around, ask your friends and family for recommendations, and that was basically your reputation. Now, with the internet, everything’s public. You can’t hide anything. Customers can leave you a review without your control,” says Tyler. Produced in collaboration with ReviewJump. Tyler founded ReviewJump, a web app that makes it easy for businesses to solicit customer reviews and to deal with negative feedback before it reaches the review stage, because he saw a niche in the market for businesses to directly control their online reputation. He found that the top three local search results on Google, also known as the ‘three-pack’ of local search, have an average of 472% more reviews than those in the fourth, fifth and sixth positions. The research showed that 66% of the time, the first three local search results had more reviews than the second three. And 63% of the time, the local listing with the most reviews overall would be ranked in the top three results. In its local search ranking factors for 2015, Moz ranked review signals – which encompasses review quantity, velocity and diversity – seventh out of a total of eight overall ranking factors, crediting it with an 8.4% influence on local search ranking. But Tyler believes this undervalues the importance of reviews to local SEO. ReviewJump have seen the benefits of an increased number of reviews for their own clients. “There’s a medical spa in Arizona, Vitality Med Spa. They’ve been in business for years, but they only had a dozen or so reviews before they started with us. And in the last three weeks alone, they’ve gotten 33 new reviews in one location. “That’s an increase of about 400%, all of them either four or five stars.” And, crucially, the spa is also ranking at number one in the three-pack of local search results. Another client, a chain of boutique hotels, has enjoyed an increase of 335% more reviews each month since starting with ReviewJump. 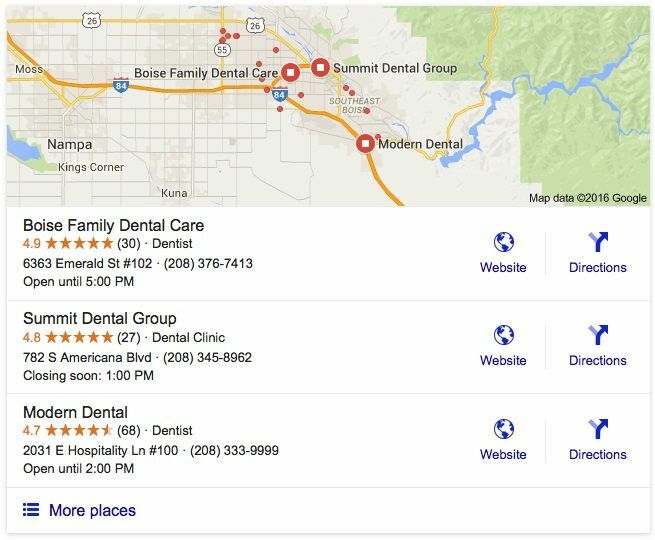 And one of the company’s earliest clients, Modern Dental, was ranked tenth in the local SERPs shortly after it came on board with ReviewJump, but is now showing up in the three-pack. If Tyler could give one tip to companies looking to improve their online reputation management, it would be to understand that their reputation truly does affect their revenue. “You’re in business to make money. And I believe that people are missing out by not giving their online reputation the credence it deserves. Sponsored content in collaboration with ReviewJump. Views expressed in this article are those of the interviewee and do not necessarily reflect ClickZ’s opinions. For more information on ReviewJump and to take a tour of the software, visit the ReviewJump website.